Mary Lou Todd, 82, of Bladenboro, passed away on Friday, November 16, 2018. She was preceded in death by her parents: Roland and Flora Carroll; husband: Memory Todd; daughter: Rosemary Todd Wynn; two brothers: Junior Carroll Paul Carroll and one sister: Carlene Carroll. 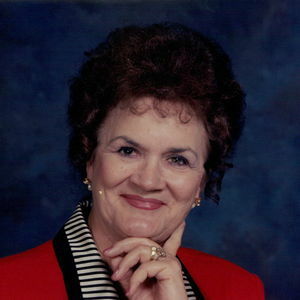 Mary Lou is survived by two sons: Jerome Todd (Pam) of Rock Hill, SC, Donnie Todd (Bobbie Ann) of Bladenboro; two daughters: Sherry Young Barnes (Tommy) and Jeanene Green (Everette), both of Bladenboro; one brother: James Carroll of Whiteville; one sister: Kathleen Gore of Whiteville; eleven grandchildren: Autumn, Courtney, Anthony, Christopher, Mason, Ryan, Danielle, Candace, Zach, Wesley, AJ; ten great-grandchildren and four great-great grandchildren. The family will receive friends from 7-9pm on Sunday, November 18th at Bladen-Gaskins Funeral Home in Elizabethtown. A funeral service will be held on Monday, November 19th at 2pm at Pleasant Grove Church in Bladenboro with Rev. Wilson Bryan officiating service. Burial will follow in the Community Baptist Church Cemetery in Bladenboro. In lieu of flowers or food, donations may be made to any Volunteer EMS or Fire and Rescue Squad.